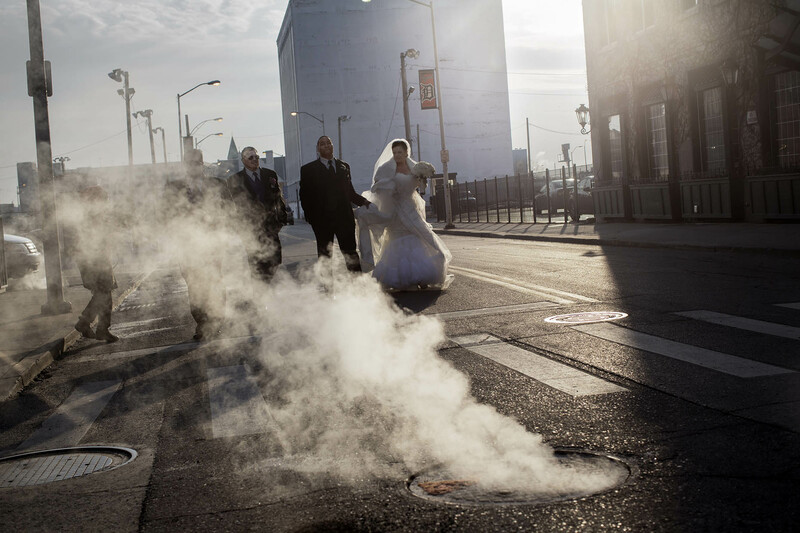 A couple on their way to a wedding reception in downtown Detroit. The city was the birthplace of the middle class. With the car, and manufacturers such as Henry Ford, Detroit experienced wealth, higher salaries, purchasing power and a boom like no other US city.